Happy birthday Yellowstone National Park! 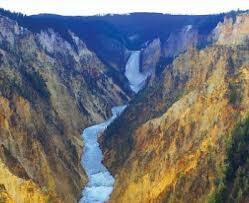 In March of 1872, President Ulysses S. Grant signed into law an act establishing Yellowstone. Since that time, the U.S. has created 59 protected areas as national parks. Twenty seven states have national parks, as do the American Samoa and the U.S. Virgin Islands. But it all started with Yellowstone! Widely known for its geothermal springs and geysers, Yellowstone sits atop a large volcanic stratum. Many unique and once endangered species of animals make their home in the park including grizzly bears, wolves and bison. Discovery Student Adventures offers amazing educational trips to Yellowstone. Which national park would you most like to visit?